Did you notice changes in employee engagement in 2015? Home » Did you notice changes in employee engagement in 2015? » Blog » Did you notice changes in employee engagement in 2015? Did you measure employee engagement in your organization in 2015? Perhaps not at the micro level! 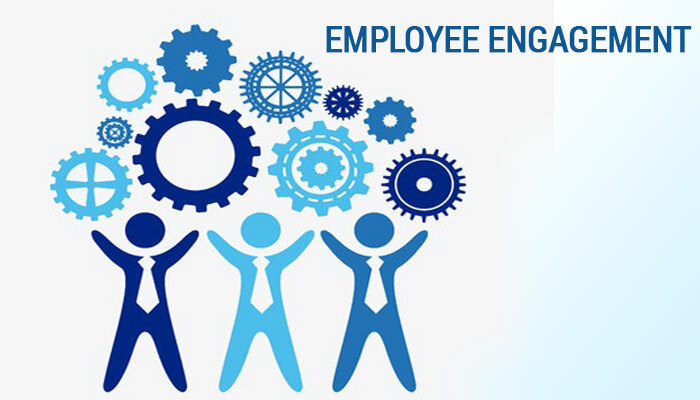 2015 Employee Engagement Report, published by TINYpulse, is out now with some interesting findings. In this blog, we will review this report and explore how we can ensure better employee engagement in 2016 and how HR technology can help us in this process. After analyzing responses of more than 400,000 respondents, TINYpulse report concluded that coworkers are the number one reason that keeps employees wholeheartedly engaged at their workplace each day. Since that’s the case, managers must consider assigning more team projects and holding more out-of-the-office team-building exercises to strengthen that camaraderie even further. To promote team building, HR managers can create an online buddy system using their employee portal. Employees can freely engage with each other, share achievements such as promotions and rewards, discuss life events and also use the system for CSR initiatives, ride sharing etc. The camaraderie that employees build when they volunteer together has always proven to be sustainable and powerful. Work culture strongly correlates with team happiness. TINYpulse’s report indicates that the stronger and more enjoyable a corporate culture is, the more likely an employee’s satisfaction in their job. Ultimately, this positivity at the workplace increases productivity. Companies must take proactive steps to develop and refine their work culture. To do this, companies first need to develop a shared vision that must be communicated and reinforced through an employee portal. All employee activities – whether related to goals and achievements, or to development initiatives should be aligned to this vision. An integrated HRMS system allows the integration of all of these activities on one platform. A majority of survey respondents reiterated that they have too much on their plates and approximately 70% of responded confessed that they feel like they’re not fulfilling all of the responsibilities of their jobs. The takeaway? There’s no sense in making the employees’ jobs any more difficult than it has to be. Companies can address this issue by investing in the right technology platforms and tools to help optimize workflows. The employees and managers can focus on outcomes rather than spending innumerable hours on managing transactions and pushing files. Ideally, companies should review all their employee related processes at least once every three years and make a concerted effort to remove any bottlenecks that are introduced by redundancy or use of paper. By focusing on this initiative periodically, companies can make their employees happier and far more productive. As an example, many companies are migrating their applications to the mobile platforms to allow managers to take quick and speedy approval related decisions. This significantly increases employee satisfaction and engagement. According to the TINYpulse’s report, no matter how hard employees work, only one in three employees considers themselves to be strongly valued. The rest feel as though they’re easily replaceable. This negative sentiment subsequently increases attrition rate and hiring/replacement costs for the company. To mitigate this risk, HR managers can design a point-based reward program with each manager being assigned certain points that can be earned by employees whenever they complete specific tasks. These points may be redeemable as gifts, vacations, recognitions etc. Your HRMS system should incorporate this feature to increase employee satisfaction levels. According to the report, only 25% survey respondents are happy with the opportunities to develop professionally in their current organizations. This is indeed a very small number, as millennials are focused on quick growth and believe that they can do this with an upgrade of their skills through training and mentoring. The simple solution for this problem is to host workshops at least once in a quarter. HR managers can link these training programs with their HRIS system and assess benefits of the programs. Further, a technology based mentoring program can identify the best mentors for employees and help establish strong relationships between the mentors and mentees. In 2016, let us begin with the reassessment of organizational operations to determine how you can better serve your employees and increase their engagement multi-fold. The bottom line is that a happy employee is a productive employee. As a solution provider, we look forward to help you. Contact us for more information.